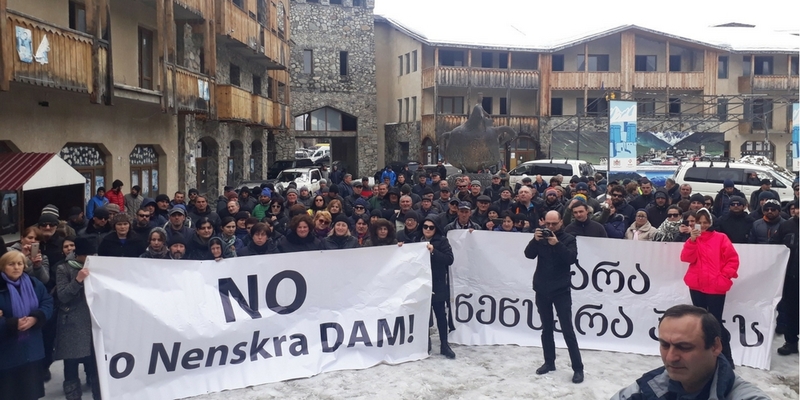 Representatives of all 17 communities of Upper Svaneti gathered in Mestia for a traditional Svan Council meeting, Lalkhor, to oppose the development of gold mining and hydropower projects in Svaneti that threaten local livelihoods and ecosystems. The protesters restated their demands – discontinuation of over 50 dam projects, including the Khudoni and Nenskra dams and the Mestiachala hydropower plant. The Lalkhor came up with the joint statement and developed a petition addressing the Georgian government, diplomatic missions accredited in Georgia, and international financial institutions. The Lalkhor demands to recognise Svans as ancient, indigenous, aboriginal, autochthonic people with appropriate rights for customary and community property in Svaneti and to ban development of any infrastructure without their prior consent. 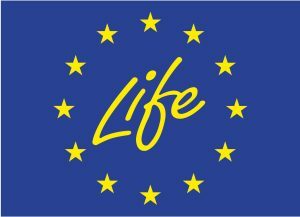 “We categorically and forever prohibit construction of hydropower plants, gold mining and any other activities that harm natural livelihoods, material and non-material cultural heritage! From now on, the HPPs in Svaneti will not be constructed. As defined by the international legislation, any infrastructural development project will require our consent,” says the statement. In relation to the Lalkhor meeting and demonstration that was held in Mestia, the special police forces were called to the region to presumably counteract the protest. 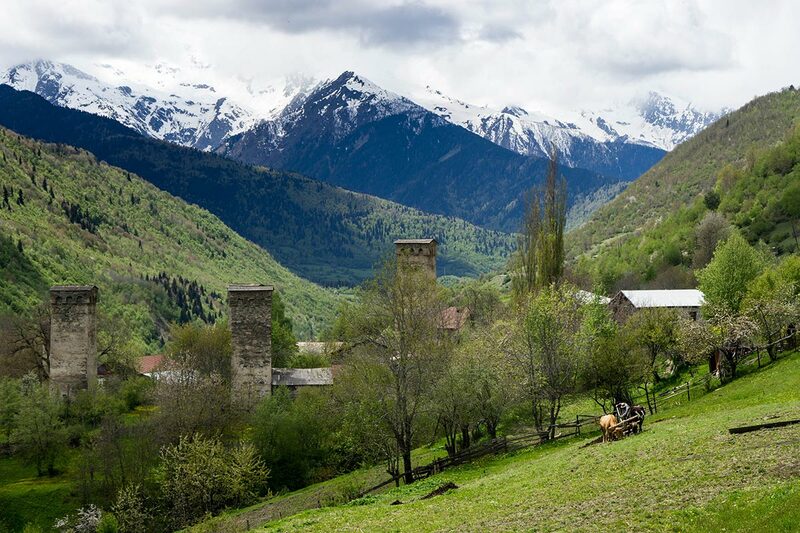 Mestia is a home for an indigenous community and a historical starting point for alpine climbers and adventurers. Recently, its hydropower potential turned the region into a honeypot for large dams investors. The interests of local communities are swept aside, and the potential construction risks are largely underestimated or ignored altogether. Besides adverse effects on local livelihoods, a cascade of dams will irreversibly change the pristine mountains of Svaneti leading to a number of associated geological risks.